Tangerine… even the name of this luscious citrus fruit conjures up impressions of all that is tangy, sweet and juicy! These thin-skinned orange relatives have been enjoyed in drinks, desserts and main dishes for centuries in East Asia, and Christmas wouldn’t be the same in many regions of the British Commonwealth without a basket of tangerines in the kitchen. Aromatherapists use tangerine essential oil to lift seasonal depression, stimulate circulation, and as a digestive tonic —and that’s just for starters! The tangerine tree (Citrus reticulata) is an evergreen slightly smaller than a sweet orange tree, with shiny green leaves and smallish fruit with a reddish orange peel. The name “tangerine” comes from the port of Tangiers in Morocco (the first port to grow tangerines for export to Europe), and literally means “of or from the region of Tangiers”! Tangerines are techinically a variety of the mandarin orange, and can be told apart by their deeper orange color and lack of seeds: mandarin oranges have a yellow-orange peel and do contain seeds, called pips. 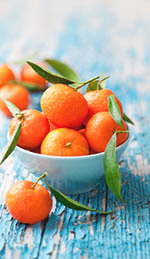 Tangerines are also harvested in November, while the mandarin harvest occurs in February. Other varieties of mandarin include the clementine and the satsuma, named after the Satsuma region of Japan where it was first developed. Along with the pomelo, citron, and papeda, the mandarin is also believed to be one of the four original species that were hybridized to produce all other citrus species, such as the lime, lemon, and sweet orange. Interestingly enough, the mandarin is the only one of these four original species that is naturally sweet, as is its varietal the tangerine! Easy to peel and eat by themselves, tangerines are also added to fruit salads, desserts, main dishes, and squeezed to make juice. In Sichuan cuisine, the tangerine peel is dried and used as a zest in certain curries. Tangerine essential oil is an orange-yellow liquid with a sweet, tangy aroma. The therapeutic compounds in the oil include a-thujone, a- and b-pinene, camphene, sabinene, myrcene, limonene, y-terpinolene, linalool, citronellol, terpineol-4-ol, nerol, and geraniol . The primary use of tangerine oil in aromatherapy is as a nerve tonic with a calming effect on the emotions; it’s often inhaled from an oil burner or diffuser to relieve feelings of being “down” or “blue”, especially the seasonal depression commonly associated with winter. As a gastric stimulant , tangerine oil is also used to treated conditions such as indigestion, flatulence, constipation, and diarrhea. The oil can stimulate circulation in the body, reducing edema and fluid retention , and has been used in massages to reduce and prevent the appearance of stretch marks. Like other citrus oils, particularly grapefruit and lemon, tangerine essential oil is also cleansing to the lymphatic system. When using tangerine oil in a topical application, care should be taken to avoid exposing the treated skin to sunlight for at least 24 hours after treatment to avoid possible photosensitization . Tangerine oil is considered generally non-sensitizing and non-irritating, but it should always be diluted before use and patch-tested on a small area of skin. With its tangy citrus scent, tangerine essential oil blends swimmingly with other citrus oils such as bergamot and neroli, floral scents such as lavender and clary sage, and spicy or balsamic oils such as frankincense, cinnamon, nutmeg and clove, for an energizing synergy that just gives a boost to your day! 1. “Health Benefits of Tangerine Essential Oil. Organic Facts. Accessed April 11th, 2014. http://www.organicfacts.net/health-benefits/essential-oils/health-benefits-of-tangerine-essential-oil.html. 2. “Tangerine.” Wikipedia. Accessed April 11th, 2014. http://en.wikipedia.org/wiki/Tangerine. 3. “Mandarin Orange.” Wikipedia. Accessed April 8th, 2014. http://en.wikipedia.org/wiki/Mandarin_orange. 4. Stansfield, Brenda. “Aromatherapy for Season Affective Disorder.” Mother Earth Living. Last modified September 15th, 2009. http://www.motherearthliving.com/natural-health/aromatherapy-for-seasonal-affective-disorder.aspx#axzz2ybO4xXhD. 5. Thomas, Pat. “A Citrus Celebration.” NYR Natural News. Last modified June 27th, 2013. http://www.nyrnaturalnews.com/article/a-citrus-celebration/. This entry was posted in Essential Oils and tagged antidepressant essential oil on February 14, 2014 by Keith Cleversley. Is there anything more refreshing than the smell of fresh oranges in the morning? There’s a reason why so many people can’t do without their breakfast glass of orange juice, and essential oils distilled from citrus fruits such as bergamot, sweet orange, and petitgrain have the same awakening qualities. Perfect for direct inhalation as a sort of “scent therapy” to alleviate feelings of gloom or the winter blues, petitgrain essential oil also has antibacterial, antispasmodic, and astringent properties  that make it a superstar in treating ailments from your head to your toes! Read on to discover the time-tested ways petitgrain oil has been used in aromatherapy and spa treatments. Modern petitgrain oil is distilled from the leaves and twigs of the bitter orange tree (Citrus aurantium), which is also the source of the delicately floral neroli essential oil. Though it is sometimes used as a substitute for neroli oil in fragrances—in fact, petitgrain oil is even sometimes nicknamed “poor man’s neroli”—petitgrain oil has a woodier, more herbaceous scent that distinguishes it from its more floral relative . However, both types of oil have been used in perfumes, bathwaters and colognes since the 1700s for their pleasant, floral-citrusy scent, ability to tighten and moisturize the skin, and reputed aphrodisiac effects. Today, petitgrain oil is mainly produced in Paraguay and France, with the French variety said to have a longer-lasting, more intense aroma. The name “petitgrain” also comes from the French, meaning “little grain”, a reference to the old practice of distilling petitgrain oil from the green, unripe bitter oranges when they were still the size of cherries! Nowadays, because it is more economical, most producers harvest the leaves and twigs of the bitter orange tree to distill petitgrain oil. All citrus oils seem to have uplifting and cheering effects on the mood, and petitgrain essential oil is no exception. The easiest way to use petitgrain oil is simply to inhale its sharp fragrance right from the bottle for an instant dose of cheer! Just the smell of petitgrain oil is thought to refresh the mind and fight “brain fog”, confusion, mental fatigue or stress, and mild cases of the blues. In a massage or blended into a moisturizing lotion, petitgrain essential oil can decongest oily skin and scalp and help clear up skin conditions such as acne and other blemishes . The oil’s antispasmodic properties can ease nervous tension, tight muscles, and even indigestion and stomach cramps by relaxing spasms in smooth muscle . Finally, due to its antiseptic and antibacterial effects , petitgrain oil can be inhaled from a diffuser or added to bath water to fight infections, especially colds and other upper respiratory ailments. Like its cousin neroli, petitgrain oil is generally considered non-sensitizing and non-irritating. Because it is distilled from the leaves and twigs rather than the fruit peel of the bitter orange, petitgrain oil does not contain the coumarins found in citrus peel that can cause photo-sensitization when exposed to sunlight . In our opinion, it’s hard to create a bad blend with petitgrain oil—it works with many different essential oils!—but the absolute yummiest combinations we’ve discovered pair petitgrain oil with other citrus oils such as bergamot, neroli, lime and sweet orange; woody oils such as cypress and sandalwood; and floral scents such as clary sage, geranium, lavender, jasmine, and ylang ylang. 1. “Health Benefits of Petitgrain Essential Oil. Organic Facts. Accessed April 23rd, 2014. http://www.organicfacts.net/health-benefits/essential-oils/health-benefits-of-petit-grain-essential-oil.html. 2. Ryman, Danièle. “Petitgrain Essential Oil”. Aromatherapy Bible. Accessed April 22nd, 2014. http://www.aromatherapybible.com/petitgrain.html. 3. Martin, Ingrid. 2006. Aromatherapy for Massage Practitioners. Lippincott Williams and Wilkins. 4. 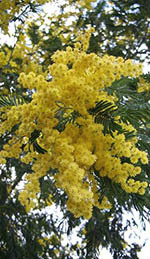 “Petitgrain (Bigarde) Essential Oil Aromatherapy.” Annie’s Aromatherapy. Accessed April 22nd, 2014. http://www.anniesaromatherapy.com/Petitgrain.php. This entry was posted in Aromatherapy, Essential Oils and tagged antidepressant essential oil, antimicrobial essential oil on January 16, 2014 by Keith Cleversley. Although once mentioned in the same breath as rose oil, today palmarosa essential oil has fallen out of common knowledge, so we at Essential Oil Exchange decided to provide a little refresher on its source and applications. 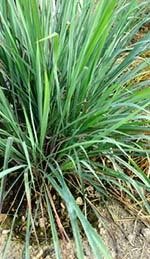 Native to India and Southeast Asia, palmarosa (Cymbopogon martinii) is a fragrant perennial grass; as you may have guessed from its genus name, palmarosa is related to lemongrass and citronella, and like them, its oil can be used to repel biting insects such as fleas and mosquitoes . Palmarosa grass has been traditionally cultivated in India for its essential oil, which has recognized medicinal and household properties. Because its odor is repellent to insects, in India palmarosa oil was often added to stores of grains and beans to prevent insect damage. The oil was also added to cooked food to kill bacteria and parasites and aid digestion as a gastric stimulant. Palmarosa oil also saw trade in ancient times that took it as far as ancient Egypt, where the dried grass was burned as temple incense. In Turkey, palmarosa oil was commonly used to adulterate the more expensive rose otto, and sometimes even passed off as rose oil due to its similar scent, which gave palmarosa its name. 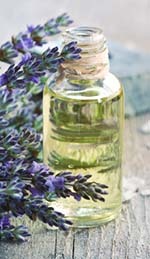 Today, palmarosa essential oil is still sometimes used as a rose oil substitute in more inexpensive soaps, perfumes, and other fragrance products. The oil is also the main commercial source of geraniol, a component of many essential oils that is widely used in cleansers, detergents and perfumes for its aromatic properties. Palmarosa oil ranks up with citronella and lemongrass as an effective natural insect repellent  that also has antibacterial, anti-fungal , and antiviral actions . In aromtherapy, palmarosa essential oil is mainly used to heal and tone the skin; its broad-spectrum anti-microbial actions  make it an effective balm for treating skin conditions such as acne, eczema, and psoriasis that may be the result of fungal or bacterial infection. Palmarosa oil also hydrates the skin and encourages the cellular regeneration of damaged tissues , making it a perfect tonic for dry, weathered or mature skin; and because it’s generally non-sensitizing and non-irritating, palmarosa oil is safe for use on most skin types. On the emotional plane, palmarosa is a gently uplifting and energizing fragrance, with many of the same antidepressant properties as a citrus oil such as bergamot or neroli oil. Its invigorating effect on the mind can help mitigate states of stress and nervous exhaustion, mental and physical fatigue, and the winter “blues” . Ready to try palmarosa essential oil for yourself? Diffuse the oil from a burner or diffuser to create an uplifting fragrance for any season, or try mixing a small quantity of palmarosa with other floral-citrusy oils such as bergamot, geranium, lime, and rosemary for a sensual blend that will tone the skin and make you glow all over! 1. “Cymbopogon martinii.” Wikipedia. Accessed May 2nd, 2014. http://en.wikipedia.org/wiki/Cymbopogon_martinii. 2. Duke, J. A, and J. du Cellier. 1993. CRC Handbook of Alternative Cash Crops Boca Raton: CRC Press. 3. Pattnaik S, VR Subramanyam, M Bapaji and CR Kole. 1997. “Antibacterial and anti-fungal activity of aromatic constituents of essential oils.” Microbios. 89: 39-46. 4. “Palmarosa Oil Profile”. Oils and Plants. Accessed May 2nd, 2014. http://www.oilsandplants.com/palmarosa.htm. This entry was posted in Aromatherapy, Essential Oils and tagged antidepressant essential oil on January 7, 2014 by Keith Cleversley. The delicate floral scent of neroli essential oil has been prized in perfumery since the 1600s because of its ability to lift the mood, banish fatigue, and improve the skin’s complexion and color. Distilled from the flower of the bitter orange tree (Citrus aurantium var. amara), neroli oil has a lighter aroma than other citrus-based essential oils, floral with rich honey undertones. Because of their delicacy, neroli blossoms must be hand harvested, usually from April to June, and distilled using water rather than steam to preserve their fragile array of chemical compounds. 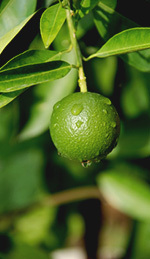 Besides neroli oil, the bitter orange tree is also the source of petitgrain essential oil (from the leaves and twigs) and bitter orange oil (from the fruit rind) . Originating probably from the Middle East, the juice and rind of the bitter orange were used medicinally throughout the Arab world and Europe: bitter orange juice was recommended by Gerard, a British herbalist, for healing scorpion stings and expelling intestinal parasites. Although bitter oranges were probably never used as a food—they are quite sour, as their name suggests—the juice may also have been used as a gastric stimulant and treatment for indigestion. Another common use was to place dried orange peel or whole fruit into linen chests to repel moths that could destroy textiles. This practice has survived in the pomander, an aromatic dried orange studded with cloves that can be used to scent drawers or entire rooms, often around Christmastime. 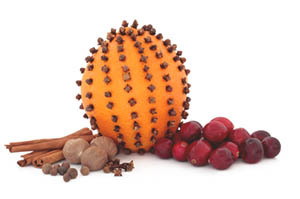 A traditional orange pomander studded with clove buds. Neroli essential oil only really came into its own in the late 1600s, when the Italian princess Anne Marie Orsini began using the oil to scent her gloves and bathwater, making neroli oil the fasionable fragrance of the era: the name neroli actually derives from Nerola, the Italian city where she ruled . Due to its distinctive yet unobtrusive scent, neroli oil features in up to 12% of perfumes produced today, and is speculated to be one of the secret flavoring ingredients in the closely guarded recipe for Coca-Cola . Blending well with most essential oils, particularly floral and citrus oils such as bergamot and petitgrain, neroli oil is a common ingredient in facial creams and toners, including the famed orange flower water, because its astringent properties tone the skin . However, since many commercial orange flower waters contain alcohol and other additives that can dry out the skin, we recommend buying your own neroli essential oil and diluting a bit in a spray bottle of water to make small, easy-to-use quantities of this excellent toner. In aromatherapy, neroli essential oil is especially helpful for its calming effects on the emotions: simply inhaling neroli oil can help reduce nerves, balance emotional turmoil, and reduce feelings of distress [3, 4]. 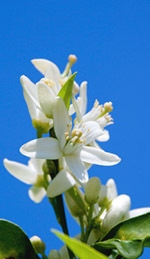 Some aromatherapists also use neroli oil to treat occasional sleeplessness . Besides its toning actions on the skin, a massage with neroli essential oil can also stimulate circulation and minimize the appearance of stretch marks, varicose veins, and thread vein scars . Its circulatory stimulant properties can also help diminish or eliminate under-eye puffiness and provide mild pain relief . Unlike citrus oils derived from the fruit rind, neroli essential oil does not contain the coumarin compounds that can cause photosensitization and is safe to use by itself on skin that may be exposed to sunlight . Whether you use it in a perfume, facial toner, massage, or simply diffuse it into your home, this light, flowery oil is sure to brighten your spirits and help your light shine! 1. “Neroli.” Wikipedia. Accessed May 7th, 2014. http://en.wikipedia.org/wiki/Neroli. 2. O’Leary, Sarah. November 9th, 2012. “Relieve Depression and Increase Confidence with Neroli Oil”. Holistic Hot Sauce. http://www.saraholeary.net/heal-depression-and-increase-confidence-with-neroli-oil/. 3. Keville, Kathy and Mindy Green. December 2008. Aromatherapy: A Complete Guide to the Healing Art. Crossing Press. 4. Chen, Ying-ju, Fuchou Cheng, Ying Shih, Tsong-Min Chang, Ming-Fu Wang, Sen-Sen Lan. June 2008. “Inhalation of Neroli Essential Oil and Its Anxiolytic Effects.” Journal of Complementary and Integrative Medicine 5 (1). This entry was posted in Aromatherapy, Essential Oils and tagged antidepressant essential oil, circulatory stimulant on December 5, 2013 by Keith Cleversley. One of the most celebrated fruits in the world, sweet oranges account for up to 70% of all citrus species cultivated today. Sweet orange essential oil is also one of the most versatile essential oils, with an extensive list of household and medicinal uses. Produced as a byproduct of pressing orange juice, sweet orange essential oil can be used as a household detergent (especially on treated wood), hand cleanser, fragrance, and in aromatherapy. Sweet orange oil is a yellow-orange to dark orange mobile liquid with an unmistakable sweet citrusy fragrance. It blends well with lavender, myrrh, other citrus oils such as lemon and neroli, and spice oils such as clove, cinnamon and nutmeg. The sweet orange (Citrus sinensis) is likely a hyrbid of the tangerine and pomelo, two other citrus species. Native probably to Southeast or East Asia, the sweet orange tree is a small evergreen with white flowers; the round fruit has a bright to dark orange peel. Orange cultivation may date as far back as 2500 BC in China, and there are now many varieties of orange and orange hybrid, including the blood orange, tangelo, bitter orange, navel, and Valencia orange. While historians believe the bitter orange was known in Southern Europe since the Crusades of the 1100s—where it was used for medicinal purposes—the sweet orange did not arrive in Europe until the late 15th or 16th century, through trade with the Middle East. Sweet oranges were considered a luxury item in the 1500s, and rich nobles would grow them in greenhouses called orangeries. Spanish colonists later brought the first oranges to the New World via Hispañiola and other Caribbean islands. Today, Brazil, California and Florida produce the most oranges for the worldwide produce market . The simplest way to use oranges is simply to eat them fresh! People also love squeezing orange pulp to make juice, as well as grating the rind—called the zest—to flavor baked goods, liqueurs and savory dishes. In the centuries before refrigeration, Spanish, Portuguese, and Dutch sailors planted orange groves along their trade routes so they could harvest the vitamin C-rich fruits as a defense against scurvy. Even today, in situations where the nutritional value of food must be maximized while generating a minimum of food waste, oranges play a crucial role: though not as tasty as the pulp, submarine crews will often eat orange peels on long voyages . The uses of sweet orange essential oil are almost as various as the uses of the fresh fruit. As a cleanser, sweet orange oil can be added to water and used to wash down surfaces such as kitchen and bathroom counters, sinks, and toilets, where it acts as a strong natural antiseptic . Adding a small bit of orange oil or lemon oil to a wooden counter or cutting board can also revitalize wood that has been stained with food, ink or coffee residues. Medicinally, sweet orange essential oil has both mild stimulant and sedative qualities on different organ systems: inhaled or applied via massage, it can boost sluggish digestion and be helpful in combating indigestion, flatulence, or lack of appetite, and may also stimulate the lymphatic system . Conversely, sweet orange oil may also act as a mild nerve sedative, promoting calmness while also lifting the mood . It has noted benefits for the skin because it supports the formation of collagen, the connective tissue within cells, and can also help the body get rid of excess fluid by acting as a mild diuretic . Besides its direct antiseptic action on infections such as the common cold, sweet orange oil helps stimulate the immune system to stave off opportunistic illnesses . If you choose to work with sweet orange essential oil in a massage blend, be sure to wait at least 24 hours before exposing treated skin to sunlight to prevent a possible photosensitizing reaction. Or simply diffuse the fruity, refreshing scent of orange oil into your living room or bathroom to perk up the senses and energize the mind with every breath. 1. “Orange (fruit)”. Wikipedia. Accessed May 13th, 2014. http://en.wikipedia.org/wiki/Orange_(fruit). 2. Dabbah, Roger, VM Edwards and WA Moats. 1970. “Anti-microbial action of citrus fruit oils on selected food-borne bacteria.” Applied and Environmental Microbiology 19 (1): 27-31. 3. Morton, Julia F. 1987. 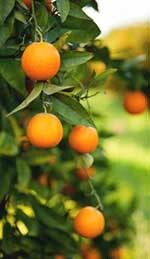 “Orange: Medicinal Uses” In: Fruits of Warm Climates pp 134-142. http://www.hort.purdue.edu/newcrop/morton/orange.html#Food%20Uses. 4. “Health Benefits of Orange Essential Oil.” Organic Facts. Accessed May 13th, 2014. http://www.organicfacts.net/health-benefits/essential-oils/orange-essential-oil.html. 5. “Sweet Orange Essential Oil Uses”. Naturally Healthy Families. Last modified October 11th, 2011. https://naturallyhealthyfamilies.wordpress.com/tag/sweet-orange-essential-oil-uses/. This entry was posted in Aromatherapy, Essential Oils and tagged antidepressant essential oil, antimicrobial essential oil on November 19, 2013 by Keith Cleversley.